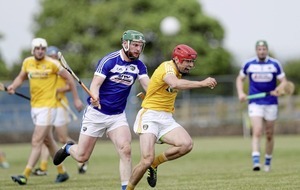 RESTING your star player may suggest otherwise but Antrim joint-manager Terence McNaughton insists he wants his team always to keep going until the end. It's entirely understandable that the Saffrons are taking no risks with leading scorer Neil McManus, leaving him out of tomorrow's team citing a muscle tightness, ahead of the relegation play-off to come. Nothing hinges on the outcome of this game, for either side. 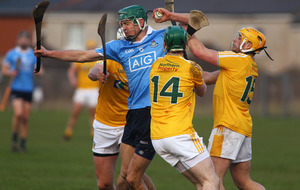 Offaly are assured of third place – no better, no worse, no matter what – and a place in the NHL quarter-finals, while Antrim know they face a game against Dublin or Laois to avoid the drop down to Division 2A. 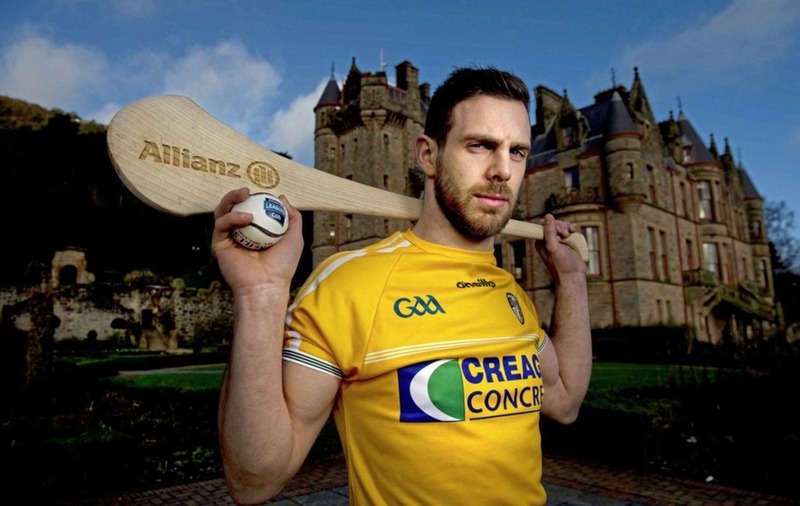 McNaughton said of McManus, who has registered 0-45 of Antrim's 3-67 tally so far: "We want to make sure he is OK for the play-off game, he hasn't really trained this week. "We're giving a few boys more game-time, boys like Eoghan Campbell and Michael Armstrong who have only recently come back from injury, get them more game-time under their belts." "We want to see a few players – there's nothing depending on the outcome of this game. So we want to see a few things, try a few things, learn a bit." "No, to be honest, it hasn't. A few things didn't work and we just switched off against Limerick. We didn't do the things we had done against Galway and we realise that. 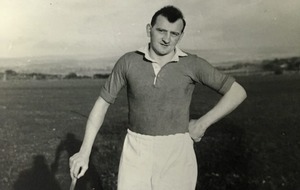 "Against Galway and Dublin we kept at it to the end, whereas against Limerick we didn't. The players need to have the mindset to keep it going and be up for it." Antrim only lost by three points in Galway and by a last-gasp effort at home to Dublin, before losing by five in Laois and by 17 to Limerick. Yet McNaughton insists he is content with what the squad has shown so far: "Limerick have great strength in depth. "We are getting guys who are committed to training, who want to wear the jersey, and that is success in itself. "I know you can't always talk about learning, there comes a time when you have to start producing, but you also have to be realistic about where you're coming from. "We're not just going to flick a switch and become a great team overnight, but we have worked on stuff all this week that we didn't do against Limerick and hopefully we will be better. 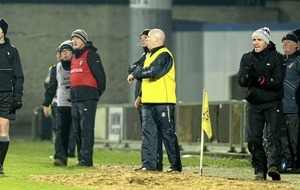 "I'd rather have those problems against Limerick than in the play-off game. 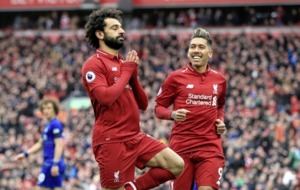 "We hope to be a different team come the play-off tie, and keep going forward." 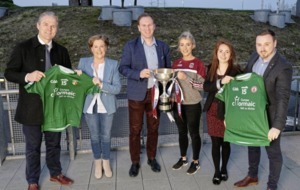 In the meantime, they travel to take on an Offaly team which has beaten Dublin and Laois but lost to Limerick – also by 17 points – and Galway, by 11. 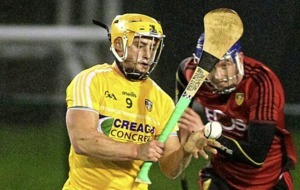 McNaughton is optimistic than Antrim can put up a better showing than last time out, concluding: "Offaly have some serious hurlers too but I'm sure their manager will make some changes as well. We have to control what we can control and forget about the rest." 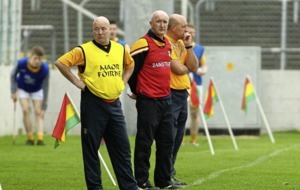 Antrim: R Elliott; A Graffin, J Dillon, S Rooney; R McCambridge, P Burke, J Maskey; E Campbell, C McKinley (capt. ); C Johnston, M Armstrong, N Elliott; D McKinley, C McCann, J McNaughton.